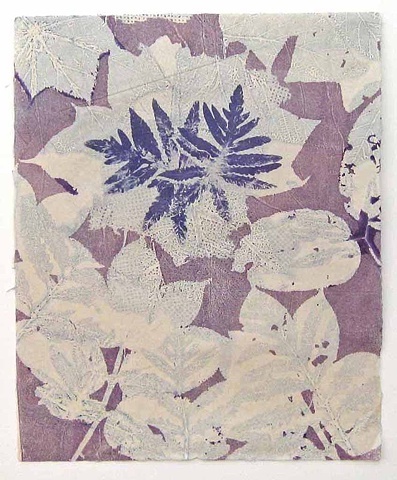 The sensitive fern, printed from a solar plate, is the focus of this artwork. I used other leaves and ferns as resists and inked "plates" to make the multiple-layered background for the fern print. Water-based Akua-Kolor inks were used throughout. This print is one in a series of fifteen that feature flora edging the woods and fields around my home.